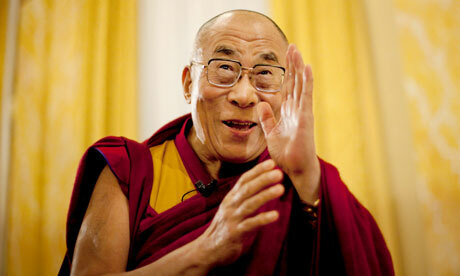 Dalai Lama To Aung San Suu Kyi- Why You So Quiet? She should return her Nobel peace prize…. Her silence is deafening. 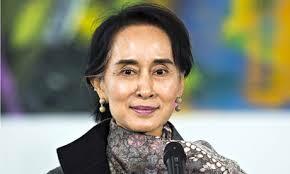 Aung San Suu Kyi, the acclaimed human rights activist has so far kept quiet on the Rohingya refugee crisis. The reason is obvious. Just like her supporters, she doesn’t see the Rohingyas as befitting any human rights. She is afraid about alienating voters ahead of elections slated for November. And now even the Dalai Lama is questioning her silence, almost exposing her hypocrisy. The Dalai Lama has urged fellow Nobel Peace Laureate Aung San Suu Kyi to do more to help Myanmar’s persecuted Muslim Rohingya minority amid a worsening migration crisis. The Tibetan Buddhist spiritual leader said she must speak up, adding that he had already appealed twice to her in person since 2012, when deadly sectarian violence in Myanmar’s Rakhine state pitted the Rohingya against local Buddhists, to do more on their behalf. The Dalai Lama, perhaps the world’s most famous refugee, added from his exile in the Indian Himalayas that it was not enough to ask how to help the Rohingya. “This is not sufficient. There’s something wrong with humanity’s way of thinking. Ultimately we are lacking concern for others’ lives, others’ well-being,” he said. Or are you deaf too?